Today’s forecast, we’re consumed with the ever-evolving and hyper dynamic relationship between fashion, technology and pop culture. It’s true that change is constant, but perhaps now more than ever, its impact is accelerated on multiple fronts. This season, we are getting news on the newest phones and tablets that are supposed to blow our minds. You know the old tagline, “it is faster, better outcome, maybe even water resistant, and super modern and chic.” At the end of it all, isn’t a lot of these new options similar to the older models before? As innovative as technology is fashion is quite similar in this example. When a new bag, clothes, even accessories come out for the season it is supposed to wow us. In a sense, do something incredible to make consumer wish to own them in our wardrobes. Maybe even do some unboxing videos, or share what we bought on Instagram. This can’t happen if the product isn’t up to our expectations. What do most consumers desire? Super stylish with good value for the money spent. In a perfect world, we would be able to buy amazing items that last us years. Everyone is different when it comes to taking care of our bags, clothes, and even accessories. Some last a few months, while others give us a few years of enjoyment. Ideally, trends can be your pal or trip you up when you are not looking. Why you might ask? The truth is I love trends when they are fun to try out and don’t make you look like you got dressed in the dark. 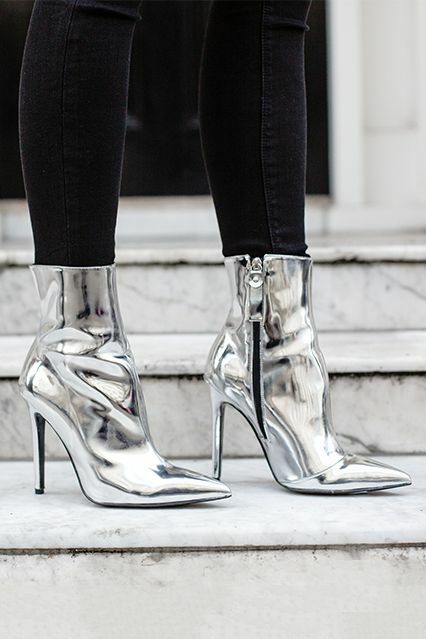 Today’s trend report is liquid silver boots. 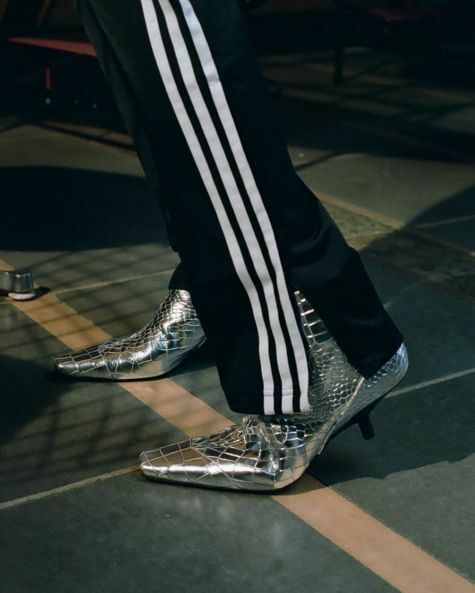 Before you start to run away, or remark on the fact you wouldn’t wear metallic silver boots if you paid me…let me just say one thing, silver boots are amazing! Like a gorgeous unique handbag, footwear should defiantly be an investment piece you put to the test. Even if you don’t think so, metallic boots can be worn with just about everything you own. You can dress them up and down and rock them for any season. When it comes to your feet, take on these fiercely compelling boots that have become a serious trend addiction. 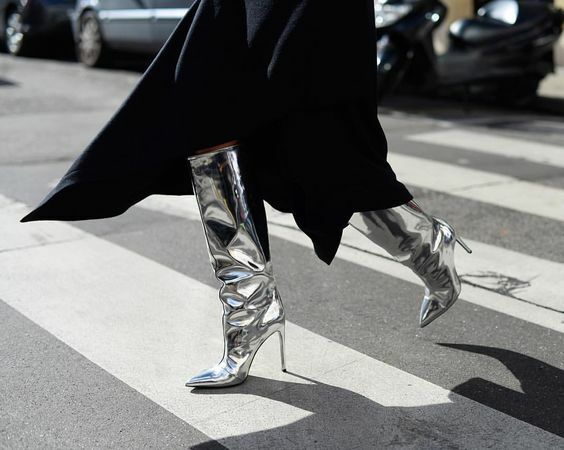 Here are some thought-provoking looks of some of the most innovative ideas on how to rock these liquid silver boots this season. 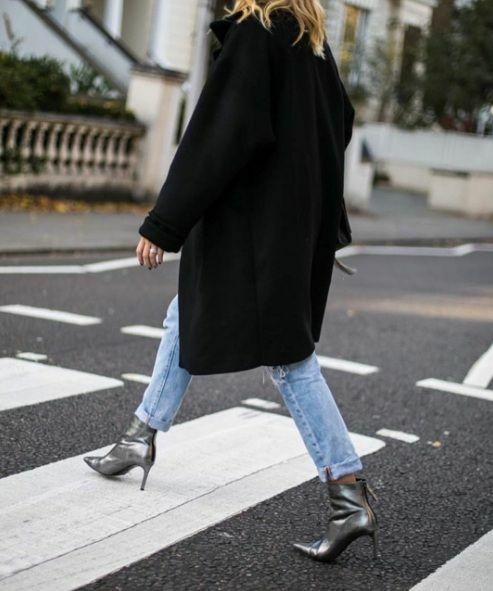 Silver ankle boots work perfectly with a pair of classic denim jeans. 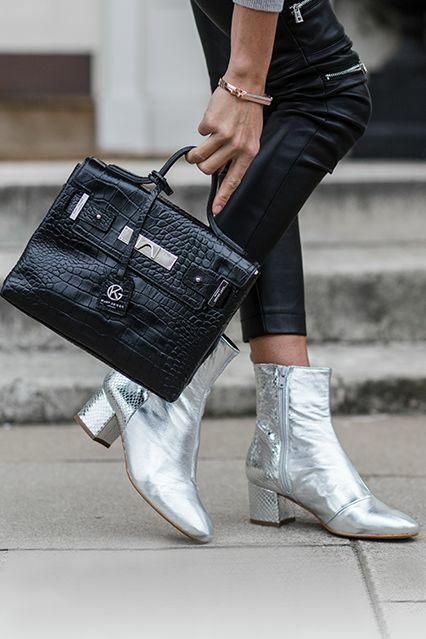 Let silver boots stand out by pairing them with understated pieces. Try an edgier look, with a black dress & leather biker jacket. For an elegant approach, wear them with a classy blouse & skirt. 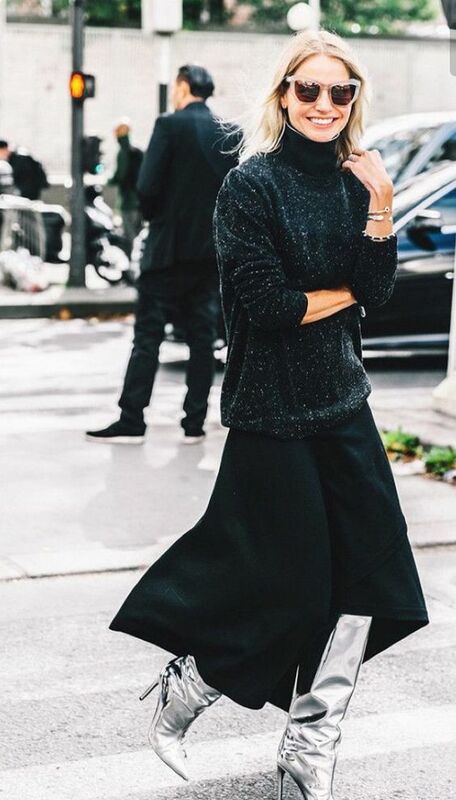 One word, layering! top these metallic beauties with a gorgeous coat. Go for an embossed option. The unique pattern makes these super unique. A so black outfit, looks so classy and elegant. These liquid boots are the icing on the cake.